There is a growing movement to eat healthier and more local. What could be more local than harvesting your own meat? The average American meal travels 1,300–2,000 miles from farm to your place using untold gallons of chemical fertilizer, pesticides and fossil fuels along the way. Eating local reduces your carbon footprint! Noun — One who mainly eats locally produced or harvested foods. 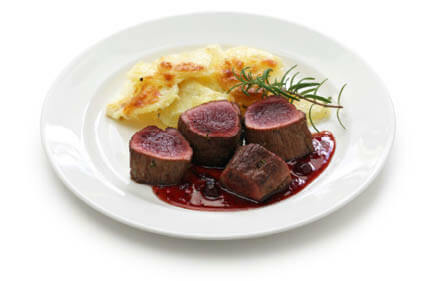 Wild game is among the most-available local protein. After highlighting these facts with a group of New Jersey Hunter Education instructors, there were many positive responses. Now you know. Become a locavore! Maybe you already are. Read about the tremendous hunter-provided, locavore-related success of a recent Market Pizza/Hunters Helping the Hungry fundraising event. See the article, The Call of the Wild.